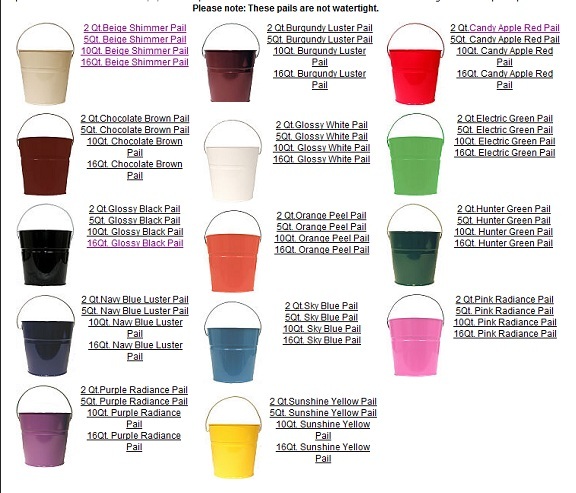 Here is a new way to exhibit your goods in these 16 Quart Colored Metal Buckets. 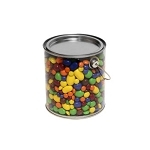 Fill with wrapped candies, candles, and lots of other products your customers are sure to love. 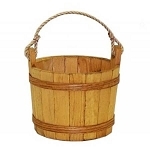 A wonderful idea for crafts, gift baskets, wedding decorations, and the sky is the limit with these decorative pails. 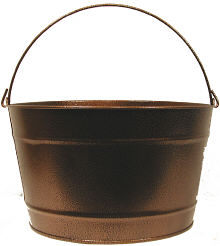 Place throughout your retail space, decorate your front porch or any other idea that comes to mind will work wonderfully with these decorative buckets. 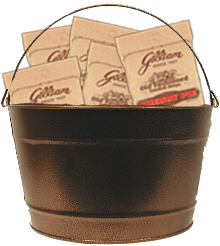 Make sure to order a couple today! A good size for displaying stuffed animals in our store.